It can be hard to keep your car or truck's glass clean. 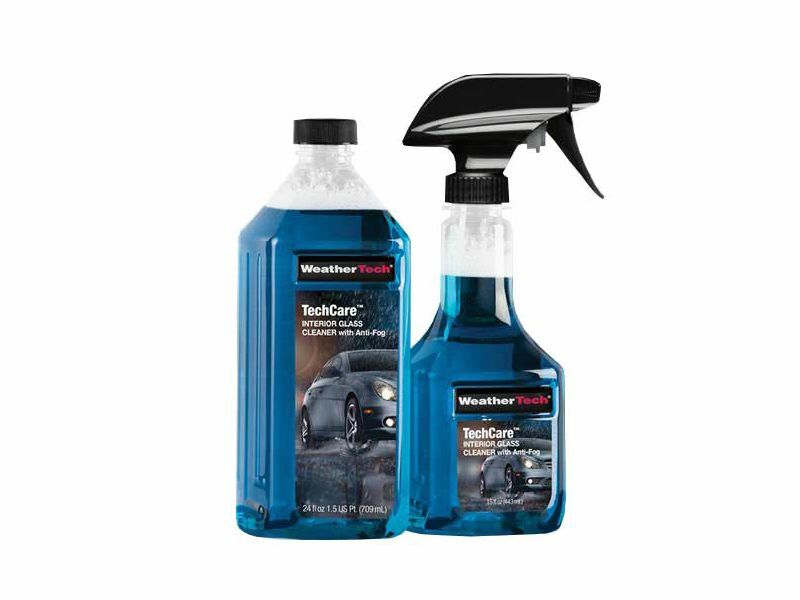 WeatherTech did a lot of research and development to ensure that their glass cleaners wouldn't be just the same old thing. TechCare auto glass cleaners have been painstakingly tested by top chemists to ensure optimal performance. TechCare interior & exterior glass cleaners represent the latest in chemical technology. These cleaners will keep your windows crystal clear without streaking. Dust, bugs, smudges, smears, or smoke is easily removed with TechCare's specially designed formula. Your windows won't fog up even in the bitter cold and these cleaners are safe to use on tinted glass. Visibility is critical to driving safely and there are no other glass cleaners that work as well as the TechCare auto glass cleaners do. So whether you have a heart-stopping classic show car or an everyday beater, if you want to keep your windows clean, then these cleaners are clearly for you! Simply spray your window evenly with either the interior or exterior formula glass cleaner and wipe off. For best results, use a lint free cloth to wipe off the interior or your glass or a microfiber towel to wipe the exterior glass clean. If you have any questions please give our amazing customer service a call.